The Washington Spirit drafted Andi Sullivan with the first overall pick in the 2018 NWSL College Draft. 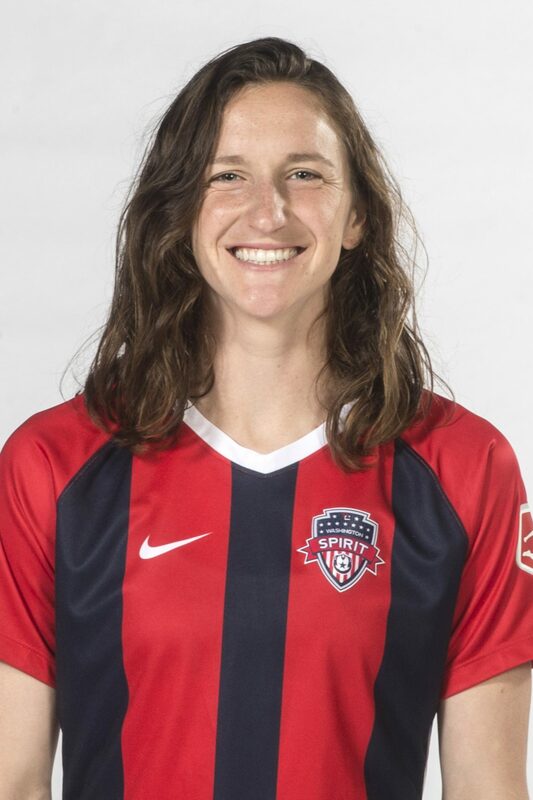 2018: Sullivan played in 23 games for the Spirit over the course of the 2018 NWSL season, starting 22. Sullivan dominated the midfield for the Spirit, winning her tackles at an 86% rate and making 34 interceptions over the course of the season. The midfielder also contributed offensively, completing her passes at a rate of 78.9%, making 20 key passes. Sullivan has represented the United States on the senior national team as well as the under-15, under-17, under-20, and under-23 national teams. She earned her first cap with the senior national team during an international friendly match against Switzerland on October 19, 2016, and earned Player of the Match for her impressive performance. She earned her first assist a few days later on October 23, 2016. She then played in two more matches on November 10 and 13 where she earned another assist. However, she tore her ACL a few days later during a college match on November 18, 2016. She missed a large part of the year due to the injury but made her return to the national team on October 19, 2017. In 2018, Sullivan was named to the U.S. U-23 team for their victorious 2018 Nordic Tournament run… Sullivan also made four appearances for the senior team. Although one of the youngest players on the U.S. Women’s National Team roster, she was a co-captain and had an outstanding tournament at the 2014 CONCACAF Women’s U-20 Championship in the Cayman Islands while playing several positions to help the USA earn a World Cup berth … Played every minute of all four games in which she played, scoring two goals with three assists, including a goal directly off a corner kick against Mexico in the championship game … One of six players to make the Women’s World Cup roster who have yet to begin college … Played at the 2012 FIFA U-17 Women’s World Cup in Azerbaijan, starting all three group matches … A member of the U.S. team that won the 2012 CONCACAF U-17 Women’s Championship in Guatemala and qualified for the 2012 FIFA U-17 Women’s World Cup, she played in three games with one start, scoring two goals – one each against Bahamas and T&T – with one assist … Finished her U-17 career with five goals in 18 international games … Played with the U.S. U-15s in 2010. Recieved fourth call-up to the National Team on Oct. 31, 2017, for matches against Canada. Called up to the U.S. Women’s National Team camp on Oct. 11, 2017, for matches against South Korea — started and played 45 minutes against Korea on Oct. 19.